« 17th Annual Builders Jeopardy – At Paradisos in Kenai! Mark your calendar and tell every high school-aged youth up to age 21 that we have an awesome opportunity for them to share their singing talents! 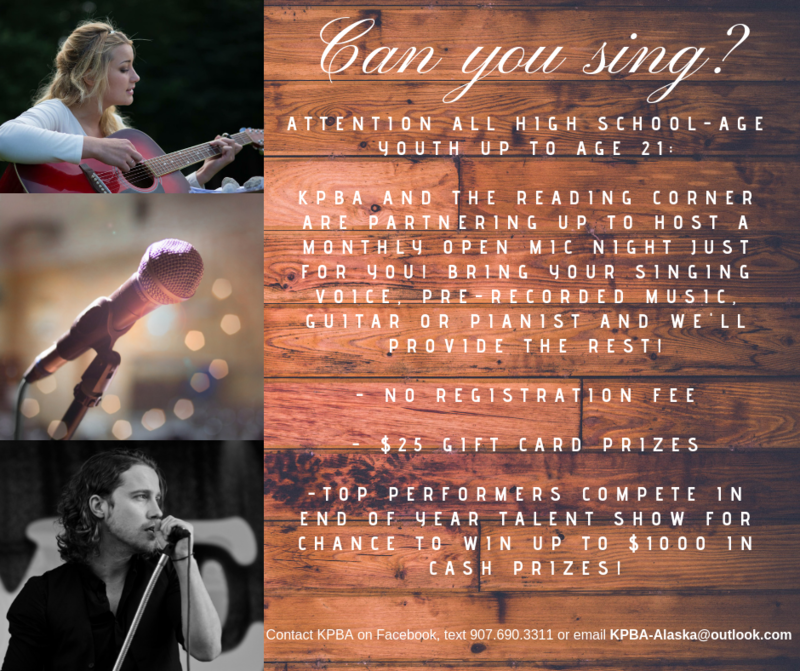 We are hosting these nights one Thursday a month at The Reading Corner in Kenai. No fee to register.